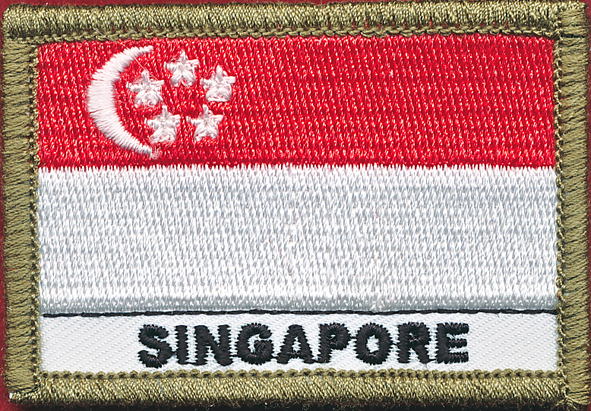 1 x Officer Cadet, Foreign Countries Shoulder patch (L) – SINGAPORE. Standard size (approx) 55mm x 75mm. : Velcro backed. Worn by foreign students training at the Royal Military College Duntroon.